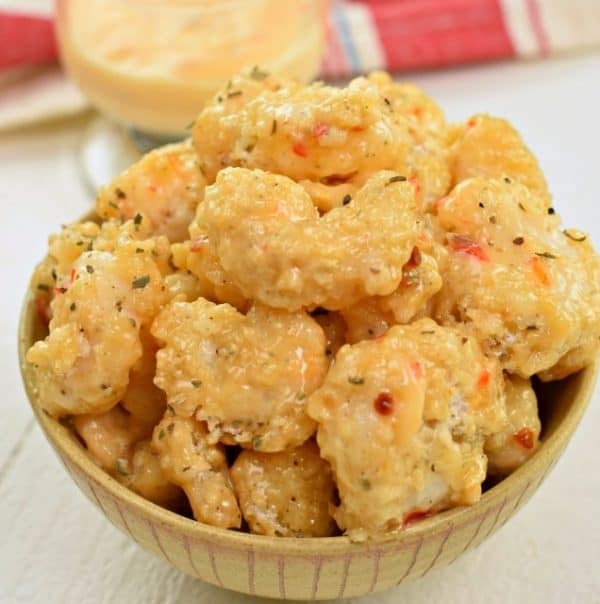 Bang Bang Shrimp is a quick and easy weeknight dinner idea with a tangy, yet sweet sauce! This recipe calls for baking, NOT frying the shrimp for easy clean up! 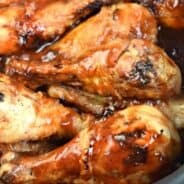 Back in March I shared a recipe for Bang Bang Chicken. You guys loved it and it’s been quite popular. I even went back and made a quick video for you! You know, that’s the new thing with food blogging now. Not only do we have to be recipe developers, writers and photographers…we now have to add in videographer to our list of skills. Oh wait, I forgot to mention social media marketer and dishwasher. Typical Bang Bang Chicken recipes are deep fried. But why not bake them? And if you can bake chicken, you most definitely can bake shrimp. I bought raw, frozen shrimp that was already peeled and deveined. I mean, if you love peeling them and taking out that poop vein, by all means go for it. But this momma ain’t got time for that. 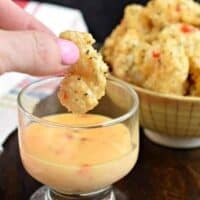 And there is so much flavor in the breading and the sauce, cheap frozen shrimp WORKS for this recipe. I hope you love this easy, baked Bang Bang Shrimp recipe as much as we do! If you make it, tag me on social media! 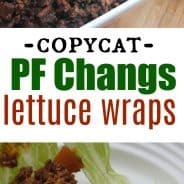 I created a fun little group on facebook and I’d love for you to join in! 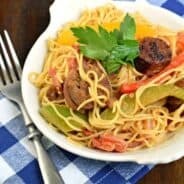 It’s a place where you can share YOUR favorite recipes, ask questions, and see what’s new with Shugary Sweets (so that you never miss a new recipe)! If you’d like to check it out, you can request to join HERE. 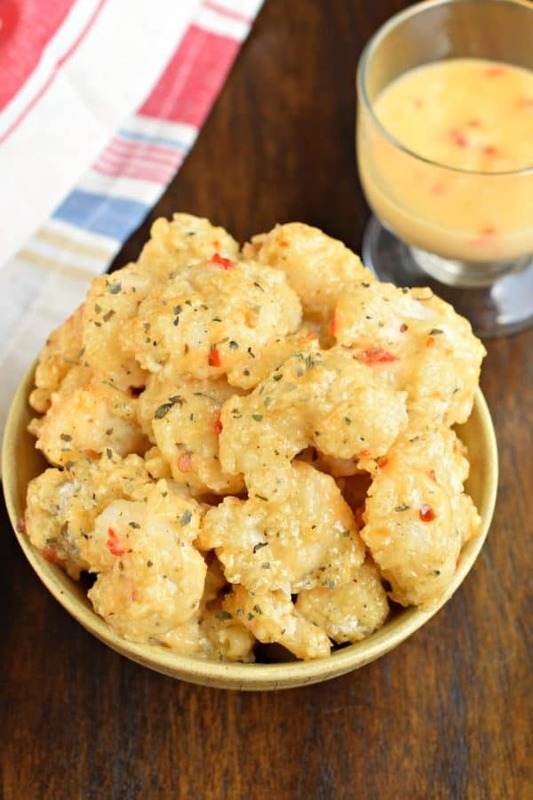 Bang Bang Shrimp is an quick and easy weeknight dinner idea with a tangy, yet sweet sauce! 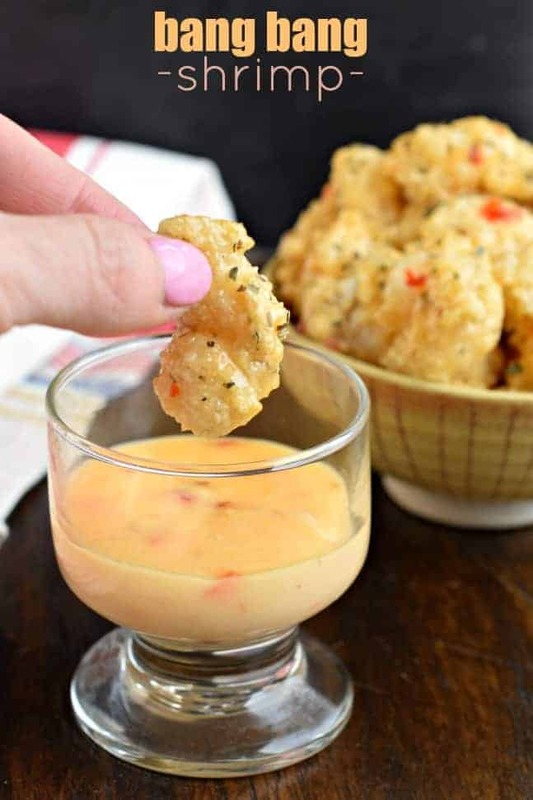 This recipe calls for baking, NOT frying the shrimp for easy clean up! Combine all the sauce ingredients in a small bowl with a spoon. Cover and set aside until ready to use. In a small bowl, combine egg and milk and whisk together. Set aside. In a large ziploc bag, combine flour, breadcrumbs, salt, pepper, onion powder, garlic, and basil. Zip closed and shake until mixed. To begin, bread the shrimp by first dropping it into the ziploc bag and shake a few times. Then dip breaded shrimp into the egg and put back into the ziploc. Once coated, place each piece of shrimp onto the prepared baking sheet in a single layer. To cook, bake on pan for 10 minutes. Flip shrimp and bake an additional 5 minutes or until done. Once done, add half of the sauce to the shrimp to coat (while the shrimp is still hot). Sprinkle with a little extra dried basil and serve with sauce on the side. ENJOY. Killing it! These are perfect! I made Bang Bang Chicken before but I never tried with shrimps. I will let you know. Thanks!